The latest company to jump into the streaming media race is Vdio (also of Rdio fame), which mirrors the iTunes model of buying and renting content. This isn't a Netflix competitor supported by a subscription policy; instead, Vdio is banking on its Rdio reputation combined with a smartly designed experience to attract users. The service is described as one that solves that "what to watch" dilemma we all occasionally experience. 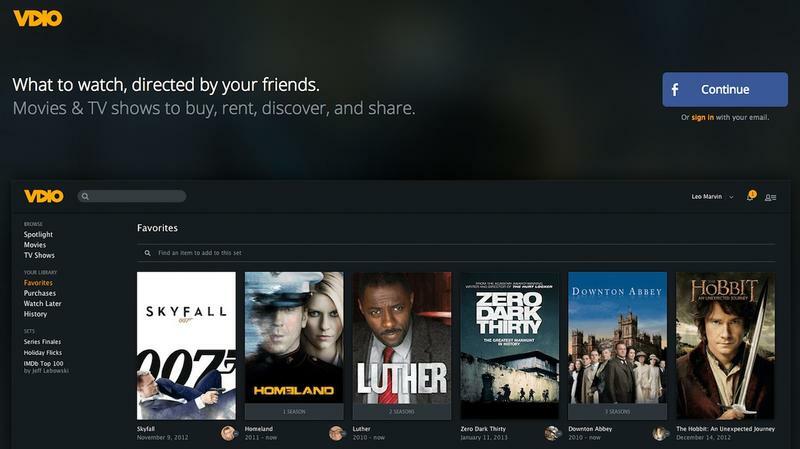 To differentiate, Vdio's experience is driven by "Sets," which are essentially playlists for TV shows and movies. Any person using the service can make and share lists with other people, with the hope being you'll find enough stuff to watch through discovery and word of mouth. Emphasis is being put into the social experience, too; you can actually jump into a movie your friends are watching at any moment. Vdio will offer "the newest releases" and "cult classics," along with "a whole lot in between from the major studios and networks," the company said on its blog on Wednesday. Right now, movies include Lincoln, The Hobbit and Skyfall, while popular TV shows such as Downton Abbey and Breaking Bad are available. Unfortunately, only Rdio Unlimited subscribers in the U.S. and U.K. will have access to the new streaming services—Vdio is throwing in a nice little $25 incentive to use right away. Vdio is accessible through the Web and Apple's iPad, though in-app purchases aren't supported on the tablet. If you're a heavy Rdio user, Vdio might be a nice little addition to the platform. But for those who rely on Amazon's immense content megastore, there might not be very much reason to hop over.